Another great weekend here in Nashville. My Friday started off right when a shipment of fresh seafood from the fine folks at the Alaska Seafood Marketing Institute came across my doorstep. Salmon, Halibut, Cod, Sea Scallops, and King Crab legs were all part of the wonderful assortment of fine seafood from the folks up North. Of course, I couldn't wait to start cooking! 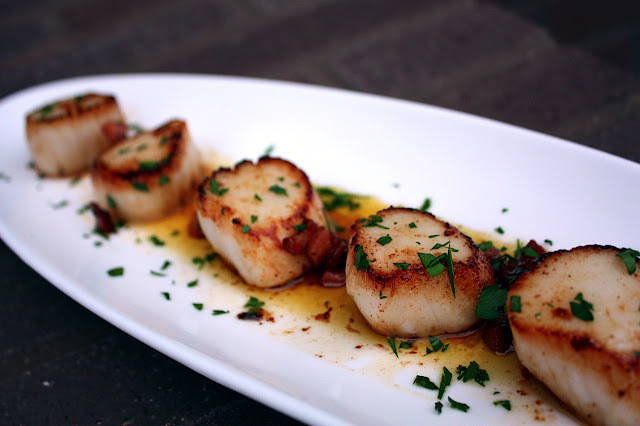 With Mom and Dad in town to celebrate a birthday, I simply prepared these sea scallops to perfection, along with some of my favorite local ingredients. The result? Let's put it this way - you'll be seeing a lot more great Alaskan seafood posts over the coming weeks! Off to San Fran - more to come. Pre-heat a cast iron skillet over medium heat, add bacon. Cook bacon until crisp and the fat has rendered, remove with a slotted spoon and allow the bacon to cool on a paper towel. 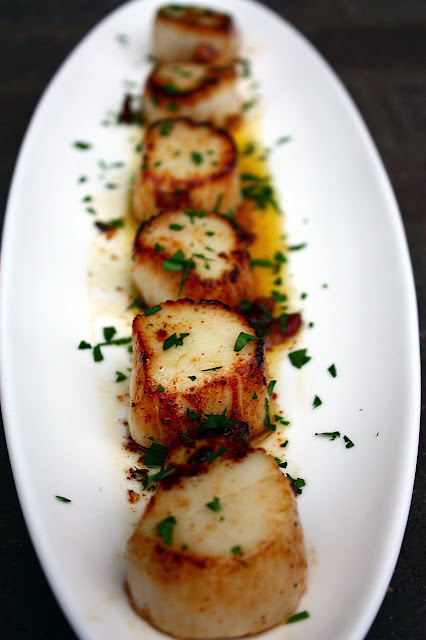 Meanwhile, melt butter into the bacon grease, along with a tablespoon of EVOO. Add scallops and cook for 60 seconds on one side - do not touch. 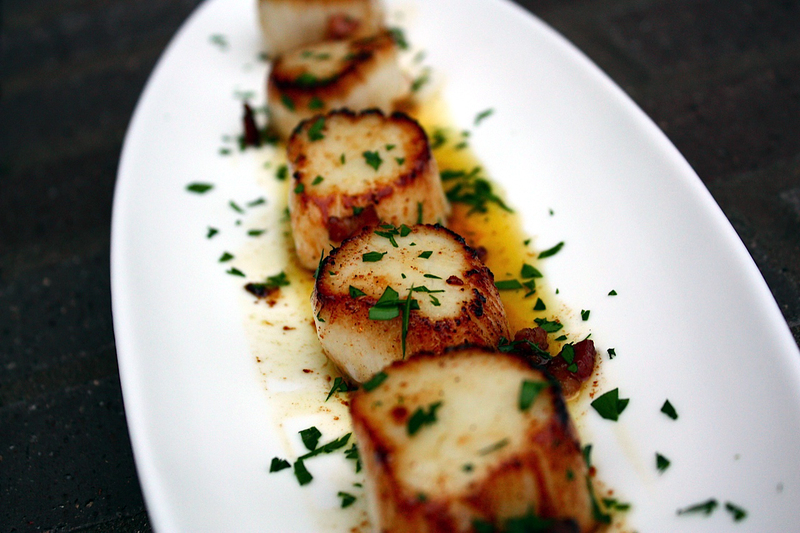 Flip scallops, squeeze over lemon juice, and cook for another 60 - 90 seconds, or until scallops are just firm to the touch. Remove from heat, plate, and pour pan drippings over the top of the scallops. Serve.